Mark your calendars for Wednesday, November 2 as the Cascade Blues Association’s annual Muddy Awards celebration will return with a fun-filled night of excitement, recognition, and amazing music. It will take place at The Melody Ballroom, 615 SE Alder Street, upstairs in the main ballroom, beginning at 6:30 pm. Various music celebrities and CBA board members will present awards, as selected by our members, in a number of categories honoring the musical achievement from the past year. Of course, the Muddy Awards would not be complete without musical entertainment. This year’s event will follow tradition set a few years back with an opening set from this year’s Journey To Memphis winning band Rae Gordon & The Backseat Drivers. Midway through the awards, we will have a short intermission set for the solo/duo Journey To Memphis winning act David Pinsky. And to top the night off in grand fashion, an All Star Set featuring many of past and current Muddy Award winners and nominees, put together and led by the soulful vocals and steamy guitar of Ken DeRouchie. Ken already has commitments from some of the best musicians in the region, so expect another over the top night with the All Stars. The Muddy Awards is an all ages event and is free for CBA members with their current membership cards. 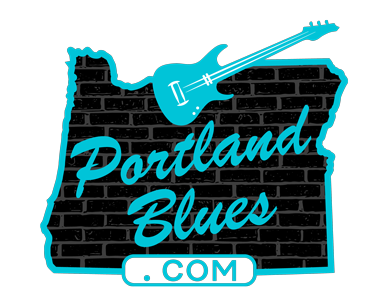 Non-members are just $5.00 for one of the most anticipated nights of the year in Portland’s blues community.